suits in order to come up with a reading. tarot cards has 78 decks dividing into major and minor arcana nasa major arcana na ako. 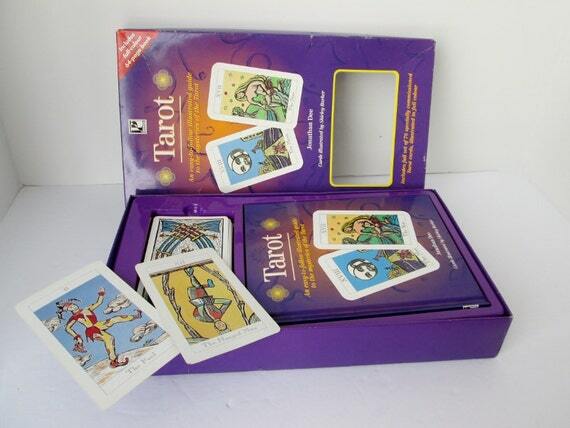 ganito tarot kit nabili ng sis ko. my sister and i were into this in high school. this was our book/deck set. i actually learned and memorized them, and i still know what they mean and remember a few spreads. just that when i was using it, i ended up lying to my classmates and just gave them what they wanted to hear. i just think its more of a psychology thing. you gauge and read the person you're reading for, rather than the cards itself. its a fun hobby, but i remember talking to this dude whos into this whole spiritual stuff, and he says that the cards "speak" to you. if you're meant for the cards, you'd feel some sort of energy and you'd have this sort of connection with it. he tells me he blacked out when he first touched his and even saw lights (possible na gutom lang yun, but whatever). i'm like... okaaay, well, we just bought ours from Barnes and Noble and thought it was cool because we liked The Craft. i believe so too miss weedur, that this is more of a psychology thing, and getting people to hear what they want. actually, you can babble a whole slew of stuff, and they will sift through the info and retain the hits, more than the misses. i forgot what it's called in psych terms. i'm just a believer in this type of spirituality, but hey, it makes for fun stories. sinabi naman dun sa libro ng author ng tarot book wala naman wrong or right answers sa reading ng tarots.